Death by Grammar: Work from Home: How I started. Engaging in Virtual Administration gave me the flexibility and liberty to balance my time with my obligations and responsibility as provider and parent to my kids. 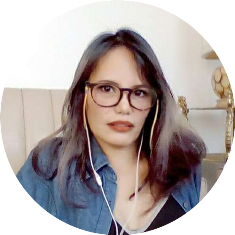 In my simple term, engaging in online home based job as a Virtual Administrator is like establishing your own call center or BPO at home, where you have the flexibility of choosing your task, work hours and paycheck rate while doing customer service work. I will admit that my salary varies and may not at all be as competitive as the others who obviously have more edge than me, I guess at this time, what's more important to me is that I know how to take responsibility for myself and my family. Personally, I became more inclined with teaching than customer service, although the skill is still considerably practiced in my class. This home based business largely rely on fast internet speeds, quiet environment, discipline and dedication to your operation. You do not have to be matriculated or collegian in order to get yourself started with this work. As long as you know the basics of office management & computer operation, a reliable computer/computing device & internet, have the discipline and can keep yourself motivated in order to learn and finish your task, you can build your portfolio eventually. By experience, not all clients/employers are looking for mad education or diploma. The secret to keeping a client/employer is when you established your reliability and dependability when it comes to deliverables. Eventually, you must learn how to troubleshoot your own computer/device or keep a back-up in case of technical issues. Determine your skills and professional experience. What transferable skills can you apply and offer? Focusing on your deliverables first before demanding a paycheck. What services can you offer, what duties can you perform? In my case, I can do both data mining, data entry and appointment setting. My duty has always been an account manager. What are your strengths & weakness? Your strengths are your tool to carry out tasks. For example, my communication & language skills are my tools that I use for teaching English as a Second language. I have a pleasant disposition and can demonstrate patience when teaching young learners. I consider my being undergraduate a weakness and to counter this, I would enroll myself to online studies and earn my certificates or take advantage of free trainings. How much time are willing to spend? As mentioned, you have the flexibility to manage your time. You are the boss, and you set the standard. Of course, this does not mean that your client doesn't have a say on the matter. All it is, is you have the ability to 1. Negotiate or, 2. Compromise for the amount of time you work. How would you manage your contracting service? Of course you cannot establish a business without getting involved, you need to be responsible with your duties. To make sure that you are following through with your task, you can acquire free online management resources, two of my favourite are Zoho & Google. Creating the need for the service you can offer isn't as much dilemma as it used to be. You can now find and reach potential clients through various job banks available online. A good job bank is bestjobs.ph as an example. How much are you willing to invest in this business? Since you will be employing yourself which means you will not get paid until you get a client/employer online and start working, it is wise to set aside at least three month's worth of salary, and set aside for possible expenses like office supplies, and equipment like printer. Freelancing isn't like regular employment where you have a fixed date of payment. At most, you can require an upfront which may be half of your service price, and get the rest once the task or job is done. Just like a normal office setting, you need to set a space where you can effectively work without or at least, minimal interruption. 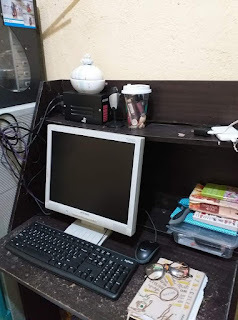 Your equipment, for example, a computer should be in a tip top shape if it's not the upgraded one, it should be able to load software which will meet your tasks' or client needs. This isn't really an issue if you're looking for a data entry or appointment setting job for jump start, at most, all you need is a good operating system and enough workspace in your computer. Your rate as a worker can be justified by how effective and reliable you are. If you see yourself qualified for the position, and your skills & smarts matches the job qualification, by all means, Negotiate. There's no harm in being transparent, at the same time reasonable. The worst thing that can happen is, if your client can only offer much. I recommend focusing on the benchmarks & deliverables first as a basis for your asking price. Creating your brand, and marketing yourself. One of the things I learned about freelancing is finding and sticking to a niche. You must decide what you are an expert of, because it's easy to get lost in the idea that you can do this and earn that. However, you should not confuse yourself with too many task that you really have no idea about. True, you may easily learn what your client may teach or train you to do, but this should be considered as another added knowledge and skill, rather than know a lot of things at the same time and neglect the important. Your expertise is your brand, it is what people recognize you for. It's easier to market your expertise first, and introduce the other skill set as an added advantage. This is very good with creating an online portfolio to market yourself as an independent off shore support. Not only computers needs updating & upgrading. You must decide to keep your relevance in the market because as fast as technology changes its face, that's how adaptable you should be. Find online courses or vocational studies relevant to your freelancing services. This should give you an advantage when applying for a project. Let me just let this out that, although it may not be easy to get in the freelancing world, as we are always vulnerable to scams and other factors, success can still be achieved with determination and self discipline.